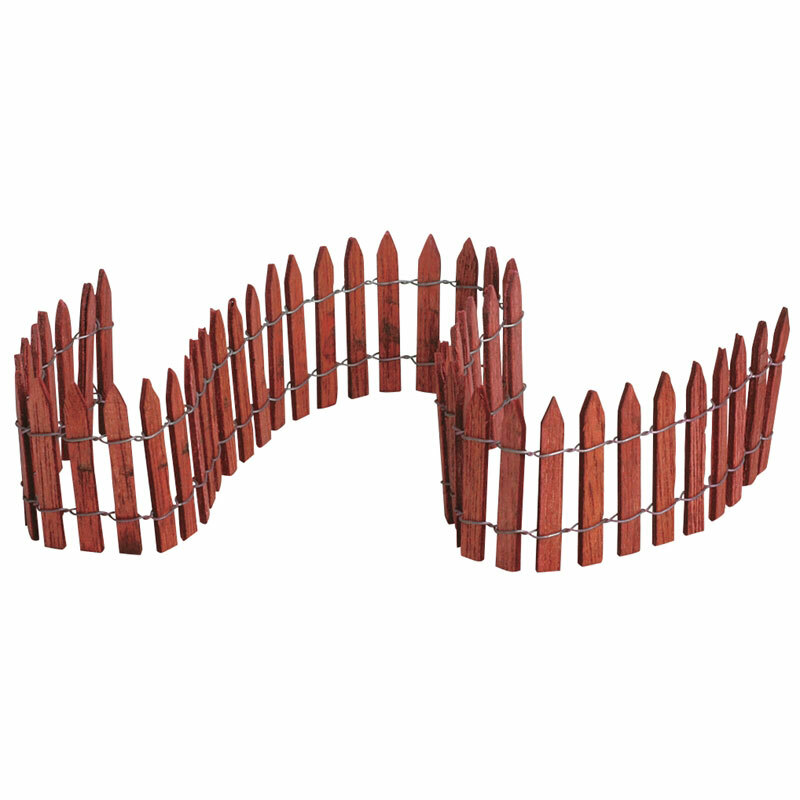 Lemax Wired Wooden Fence Display Accessory depicts a traditional wooden slatted miniature scale boundary fence 18" in total length. 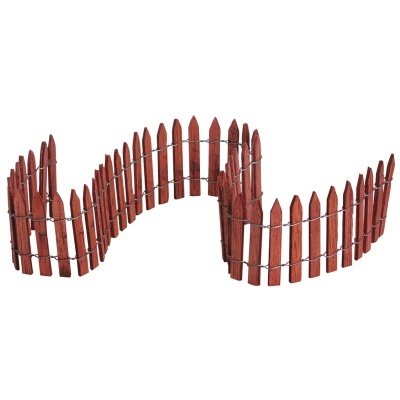 Suitable for individual placement between two points in a Lemax Village scenic display to represent a boundary line. A Lemax Village miniature accessory which joined the Lemax miniatures collection in 2008.